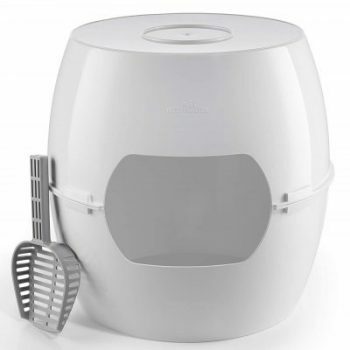 I discovered the KittyTwister Duo cat litter box and I was pleased to make a review of it because this product is a solution for cat owners who can’t find a large top entry litter box or an enclosed litter box to fit their large and tall cats. The market currently doesn’t offer many practical options that can be placed in the living room and not looking awkward. Multi-purpose. 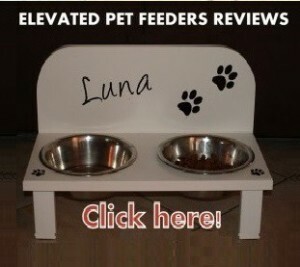 Can be used as enclosed, two trays or single deep not-covered tray. Round shape makes the scooping a breeze, no sharp corners where clumps get stuck. Dimensions: 19” diameter x 19” tall. The KittyTwister Duo litter box consists of two halves that get assembled together forming a stylish appearance. The material of which is made is ultra-polished high-grade polypropylene plastic that makes the clumps not to stick on it and not to harbor bacteria either, resisting the ammonia present in the cat urine as well. The assembling is simple, each half has two pins and two grooves that get assembled together. You only need to place one half on top of the bottom half making sure the few pegs are aligned correctly for a secure assembling. The distance from the bottom to the seams where the two halves connect is about 8.5 inches, making very hard for any urine making it there, although this is possible with a tall cat or a high sprayer. 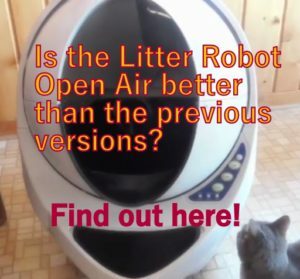 Still, the seam doesn’t let urine to leak out the litter box as other brands do. In case the cat sprays high and urinates on the seam, the urine will sit inside the rim so you will need to clean this often. 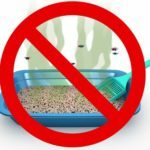 In case you don’t want to clean cat urine from the rim you will need to search for an automatic litter box for high spraying cats that won’t let any urine sit either on rims or leak outside the litter box. The KittyTwister’s entry opening is longer than taller, measuring 10” x 7” with a total of 70” sq. This overall size of the entryway will alow a large cat go trough comfortably without whiskers stress. 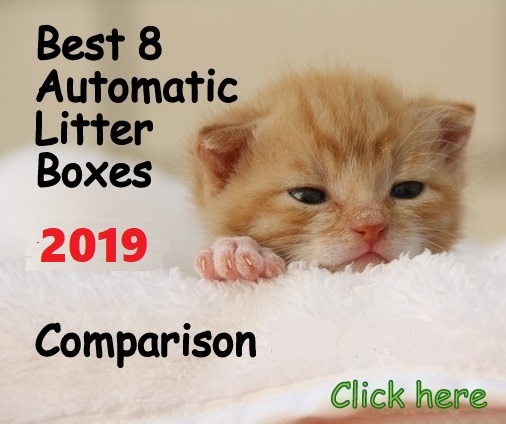 As the distance from floor to the bottom opening of the entry is 6 inches, you will have plenty of room to put the right amount of litter for your cat. Consider that if you have a disabled or elderly cat (or a kitten), 6 inches distance from the floor to the entry may be too steep. 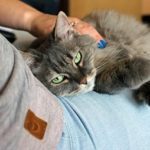 If you have a cat that digs vigorously and loves to kick litter, good part of litter will end up on the mat if your cat kicks towards the entry. As the entryway is wide, it may not be a good unit to stop a determined dog from making its way into the litter box. You need to lift the top in order to scoop the litter box. You may be able to scoop with the lid on but it’s harder to clean properly this way. To wash it you can submerge it in a bathtub with lukewarm water and mild soap or you can wipe it clean with a moistened paper towel for a faster cleaning. How large are the cats that fit comfortably inside the KittyTwister? The inside dimensions of the KittyTwister DUO allow large and tall cats to use this litter box comfortably. Cats up to 23 pounds have used this litter box nicely. 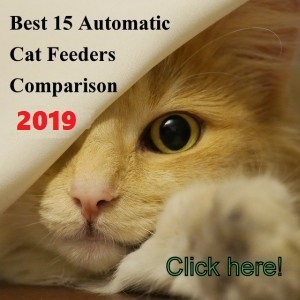 You need to subtract the inches of the litter bed from the 19” height, so your cat has approximately 17” height to move and maneuver if using the recommended 2 inch of cat litter. Stylish design can be placed anywhere at home, no need to hide in closets. If a cat urinates on the seam it will hold the urine inside the rim, not leaking outside the litter box. Included scoop is sturdy and designed to nicely complement the round shape of the litter tray for an easy cleaning. 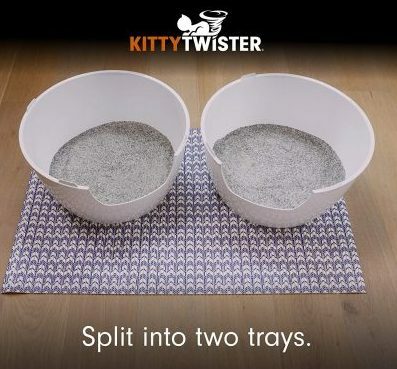 You can use the two trays as 2 different litter trays in case you need to leave your cat alone for a week or so. 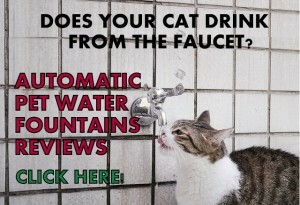 If your cat is tall and urinates on the seam, the urine will stay on the rim. You will need to lift the top and clean the rim. (check tip #1). If a cat kicks a lot of litter, it will go outside through the entry onto the mat. Entryway may be to steep for short legged cats, kittens or cats with arthritis. If your cat is tall and urinates on the seam you can lower the level of litter on that side. For a smooth transition place the old litter box inside the bottom half of the KittyTwister and put the above part on top. Place the litter box in the same location where the old litter box was. 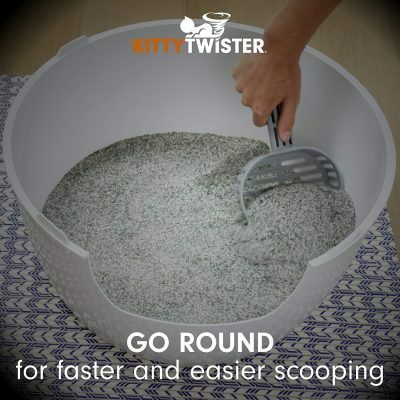 The design of the KittyTwister is smart in the sense that provides a large “turn-around” area with its 19” diameter round shape. This compensates the litter area of large but narrow litter boxes that don’t provide enough room for large cats to move around comfortably. 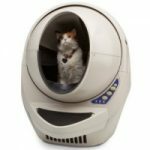 KittyTwister is a solution for cat owners whose cats are large and need a stylish enclosed litter box that can be placed in areas where it will be seen. The litter box has the capacity to blend in the area where it’s placed and it doesn’t look odd or call too much attention to itself. If you don’t want to hide the litter box. 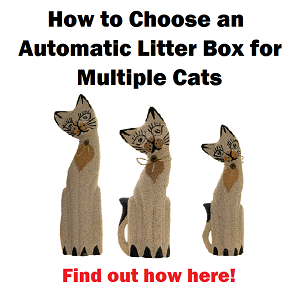 If you have a disabled or elderly cat or a kitten. If you have a tall male cat that sprays high. 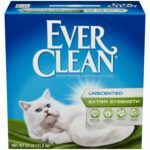 You may still benefit from this litter box but consider the extra work of drying and cleaning the rim area periodically. 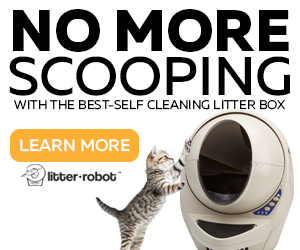 If your cat is a professional litter kicker.